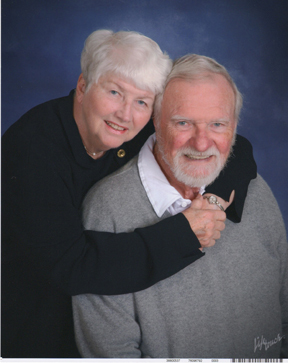 On August 26, 2014 Ken Johnston, age 80, passed away peacefully in his favorite chair, with a book in his lap and a cup of coffee at his side. So many friends and family will miss his insights, humor, and generosity. 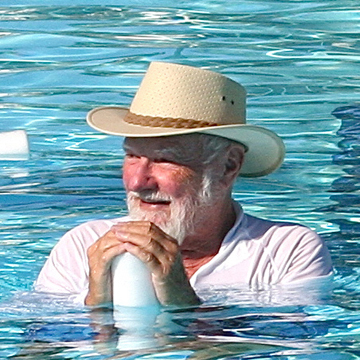 The photo below is my favorite photo: Ken in the pool with his ever-present sun-protective hat. It is the screensaver on my phone. the Ocean Hills 30th Anniversary book.